Like any great idea, it all started over dinner and conversation at a Carabbas. This was the birthplace of King Collins Golf Course Design. A firm that would grow to break the norm and introduce the world to one of the best nine-hole courses we have ever seen. How they came to be is a remarkable story of perseverance. Their belief in a vision to have “manic attention to artistry and craftsmanship” is beginning to pay off, but not without a little blood, sweat, and tears first. Similar to many entrepreneurial ventures, it began by seeing an industry problem that the duo believed could be improved. Rob Collins and Tad King initially met while working on a project for the Gary Player Design Group and quickly became kindred spirits. Their common ground: an idea that there was a better method to design and build golf. Traditionally, a golf course architect/firm hires a contractor to bring their design to life. Although this method has produced many great courses, there are shortcomings to the process. Rob & Tad thought there was a more efficient and cost-effective way to build golf that would allow craftsmanship to be front and center on a project. By bringing the construction crew in-house, the attention to detail and quality that the architect craves can be reciprocated by the contractor. Everyone is on-site and on the same page throughout the entire building process. With a mission behind their ideal firm and a business model to match, the only thing left to do was to start. Taking that first step to start your own business is usually the hardest part. For most people, it’s a decision of which they have months to consider. For Rob, it was a necessity. Leading up to 2008, golf courses were being built in plenty across the country. Business was good, and Rob was enjoying his experience working for the Player Group. That was until it all changed overnight. For the golf course industry, it sure seemed that way. The recession hit hard, and the building of courses came to a grinding halt almost immediately. Rob had to move his wife and daughter back home to regroup and make ends meet. At the time, it was a big inconvenience, but now Rob looks at it as a blessing in disguise. The financial crisis forced his hand to start his own firm. In 2010, King Collins Golf Course Design & Construction was formed and little did they know a life-changing opportunity was on its way. 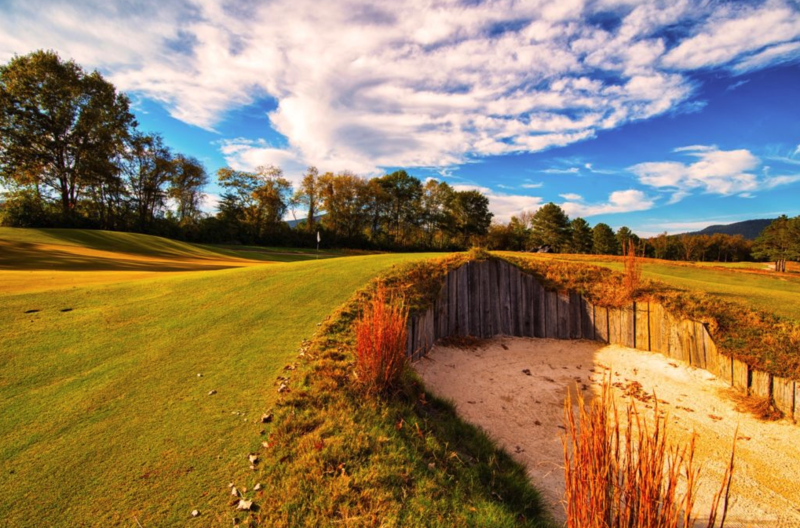 Photo by King Collins Golf Course Design of Sweetens Cove their flagship project so far. It’s incredible how a single moment can change the entire trajectory of someone’s life. 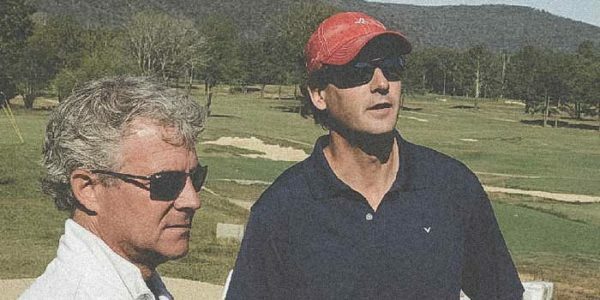 For King Collins, that was the day they got hired to redesign Sequatchie Valley Golf & Country Club. 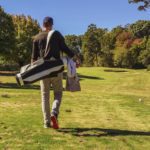 Sequatchie Valley, which would later be rebranded as the now famous Sweetens Cove, was a nine-hole course in South Pittsburg, Tennesse that was in need of a redesign. To the outside eye, the opportunity seemed scarce. But Collins and King knew this was their chance to make something special. So they got to work. The result is the ultimate labor of love. Collins and his crew grinded through long hours on a limited budget. Things got so tight that at one point Collins had to take over the lease and become the owner/operator of the golf course to keep the dream alive. As the old saying goes, “the harder you work, the luckier you get.” Sweetens Cove eventually opened, and the rest is history. The epic story of its creation got picked up by the New York Times, and subsequentially one of the most influential communities I have ever seen, Golf Twitter. 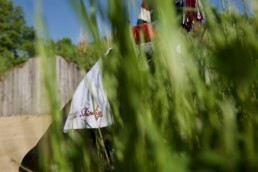 Sweetens Cove was a success, and King Collings Golf Design was on the map in a big way. Through perseverance and belief in his vision, Rob is quickly becoming one of the hottest names in the industry. With that comes opportunities that we are all excited to see unfold. One of those is Zac Blair’s dream course, The Buck Club. King Collins Golf will be assisting him in the design and construction of the course. Rob’s passion for his craft and vision are truly inspiring. His story of becoming a golf course architect is something that will give you goosebumps, and I had the pleasure to speak with him about it all on our show. 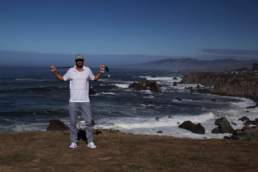 We chatted about how he first got interested in the industry, what he did to get his foot in the door, the story of Sweetens Cove, launching his own firm and so much more. You can listen to the interview below or on Apple Podcast, Spotify, or wherever else you listen.